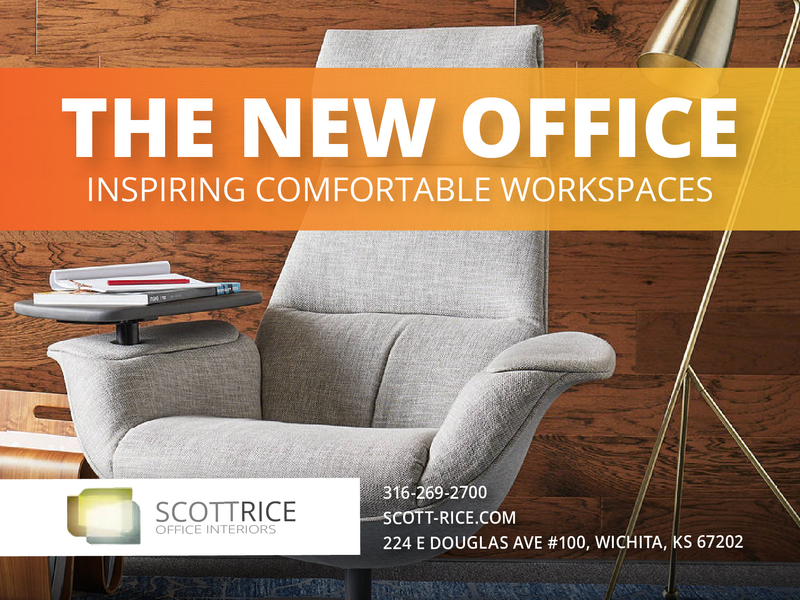 People need to be encouraged to shift postures and move around throughout the day—research shows a more relaxed lounge posture promotes creative thinking. 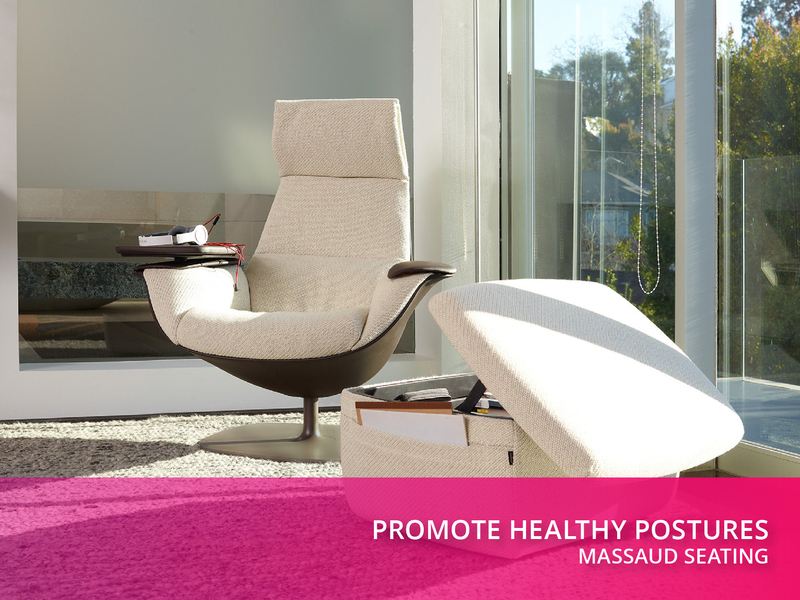 The Massaud Seating adds variety so people can sit, stand, perch, lounge and move. 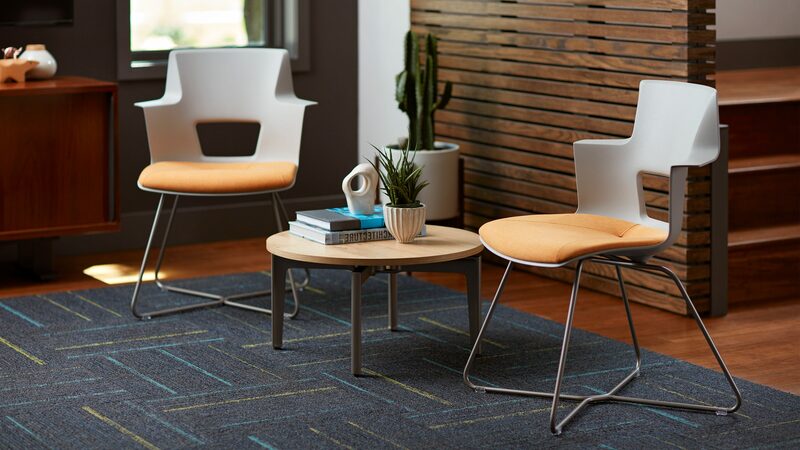 Activate people’s senses with a wide range of textures, patterns and colors that encourage innovation and playful thinking. 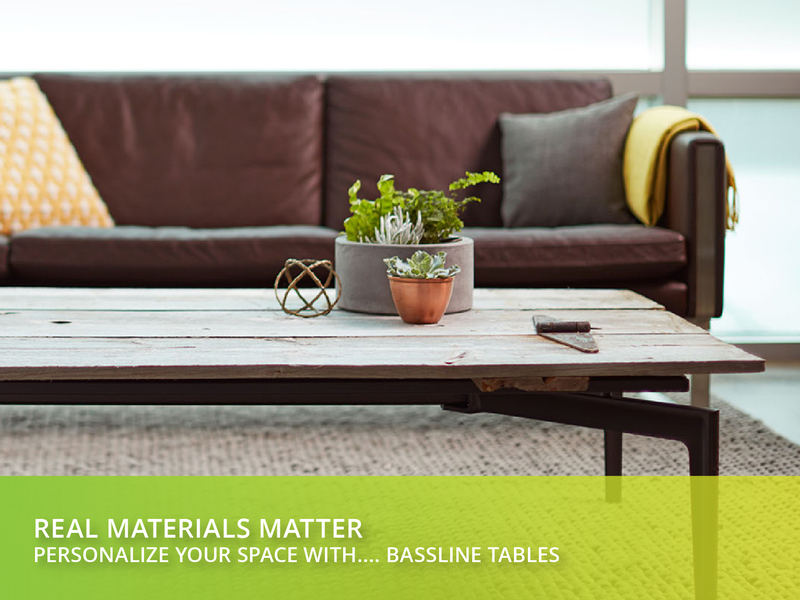 Bassline makes it easy to create a table that’s uniquely yours. Choose from our full line of tops and finishes, or put your personality on display with your favorite custom top. Beautiful spaces get even better when they provide access to power that’s within easy reach. 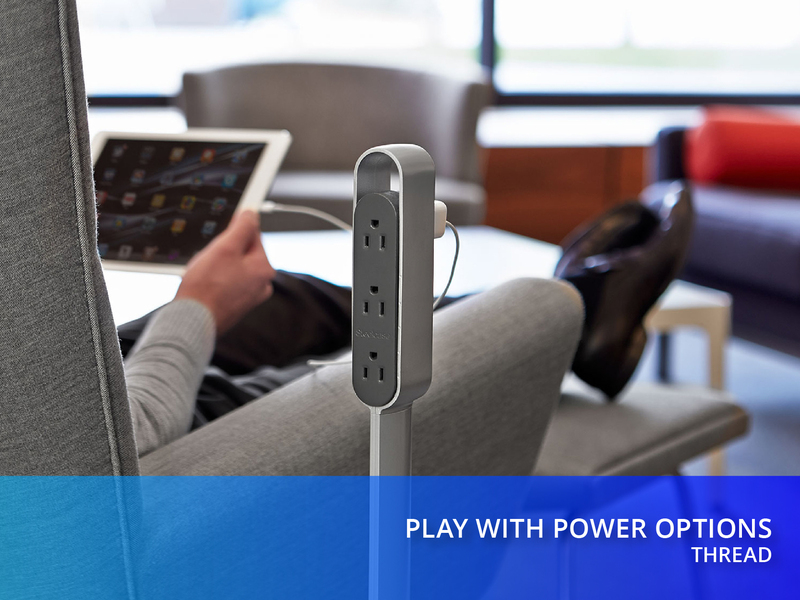 Thread simplifies power distribution, providing power to the devices we use and the places where we work and learn. Everyone likes a little privacy. 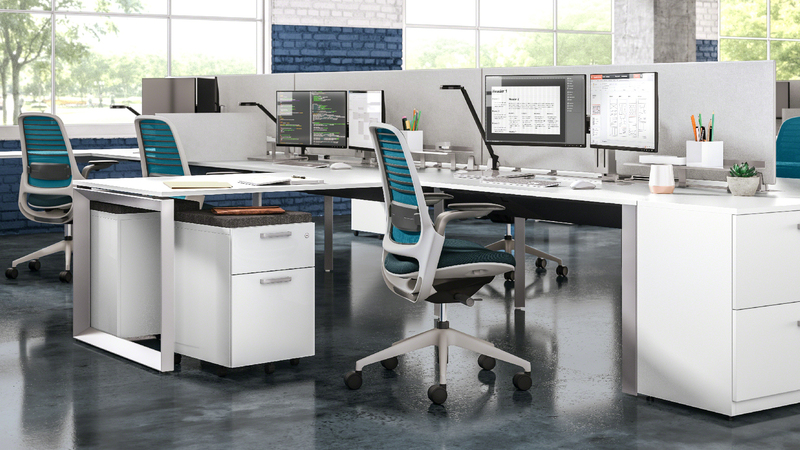 Post and Beam is an architectural framework that allows you to configure a range of work environments. 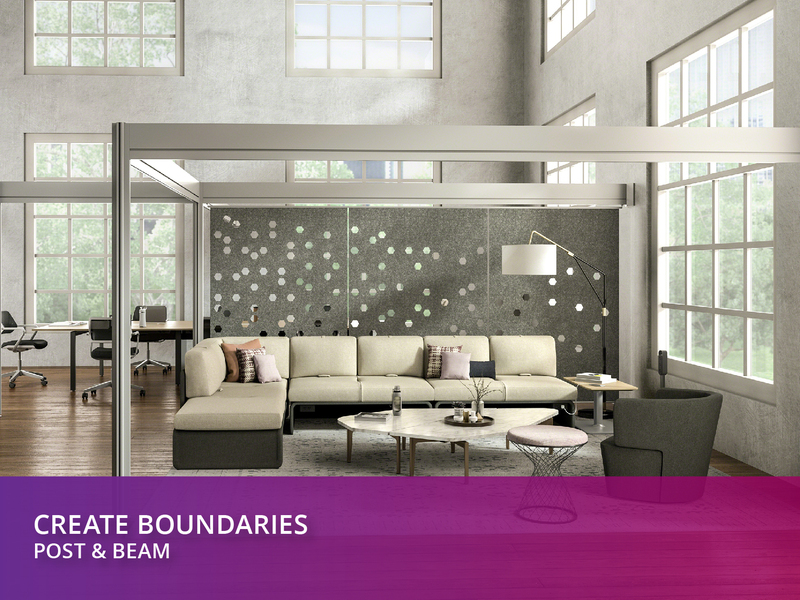 This creates spaces that are open, but have clear boundaries that make the space feel more private and personal as well.